Fidget Spinners – those three-pronged, rotating devices that look like coming straight out of the latest Men-in-black movie, are the newest fad in town. They are small hand-held devices, that whirl like a fan on light rotation due to their design with ball bearings. They also, somehow, come to be touted as the solution to all the distractions that affect your child’s focus. A Fidget Spinner is often marketed by retailers as an aid for children suffering from the attention deficit hyperactivity disorder, autism, anxiety, stress-related problems etc. It is often believed to help children stay calm and focused within their academic environment. The origin of the connection of fidget spinners to problems with concentration may have come from studies that show that kids with ADHD are able to focus better if they are allowed to fidget. This happens because it subconsciously forces the brain to work to stay present and focus on the job at hand. But this kind of fidgeting is simple and second nature and therefore works for the situation, unlike a toy that will act to stimulate that can be detrimental to natural focus. According to a study published in the journal Child Neuropsychology, kids who were afflicted with ADHD who fidgeted and squirmed were observed to perform better academically than kids who did not. But again, case in point, the kids fiddled and squirmed in their seats with everyday items, not novel toys. 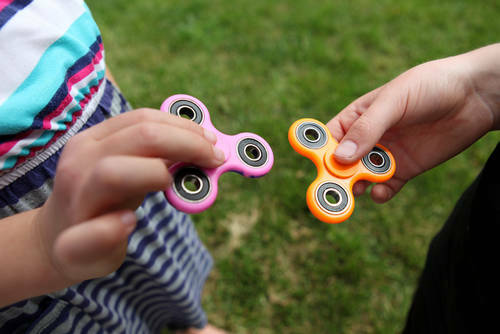 Dr. Louis Kraus, Chief of Child and Adolescent Psychiatry Division of Chicago’s Rush University Medical Center says there is little scientific evidence that point to the actual benefits of fidget spinners. Some lead researchers are of the opinion that fidget spinners are probably too stimulating to be much help in the classroom environment. Fidget spinners can be comparatively a lot more fun than school work, in a way that can compete for attention. And in that manner, it can be more distracting than helpful. 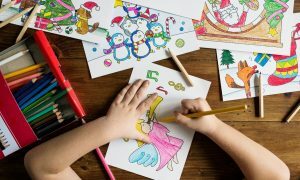 Since they are handheld devices, they might interfere in the way of kids focusing on classwork and other hands-on projects, causing children to focus more on the spinner than what is at hand. A Fidget Spinner might also interfere in the way of taking notes and performing writing assignments effectively. Since it is a specific motor activity, that could be a tad too stimulating and interesting for it to be used in settings that need children’s undivided attention. In addition to this, it could be distracting to other kids, especially inside a classroom, adding to the problem. Which is why more and more schools are banning the use of the ubiquitous fidget spinner from use in their classrooms.